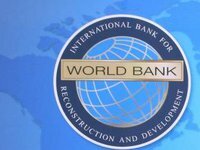 The World Bank has improved its forecast for Ukraine's state and guaranteed debt in 2018 to 67.2% from 75.1% of GDP, in 2019 – from 73.5% to 64.8% of GDP, and in 2020 – from 68.4% to 62.4% of GDP, the World Bank said in its latest Ukraine Economic Update. The World Bank said that in 2021, the figure is expected to be 58.4% of GDP. As reported, the ratio of the debt to the country's GDP decreased from 69.2% to 61.5%. If government-guaranteed debt is included, the ratio fell from 80.9% of GDP to 71.8% of GDP. Government-guaranteed debt ratio fell from 11.7% of GDP to 10.3%.